There’s no question that having a video for marketing/advertising purposes can help you improve your bottom line. 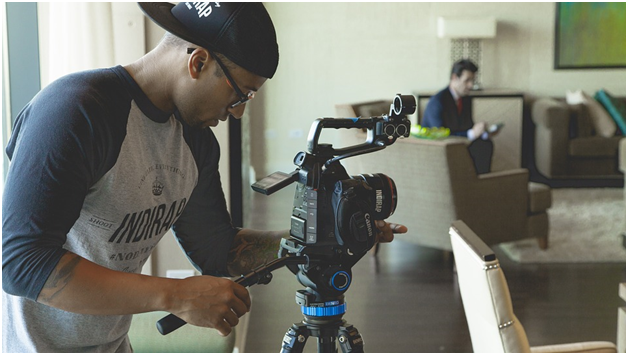 Our video productions team is well versed in creating marketing collateral and can help you create engaging content for your online or traditional advertising campaigns. The benefits are clear. By creating emotionally-driven content that your target audience will respond to, you’ll be helping to build your brand’s awareness. We believe in producing videos that tell a story that will have a maximum impact on your audience. Let’s take a look at some of the reasons why you should create videos for marketing and advertising purposes. By creating a video that appeals to your target audience’s emotions, you’ll be able to inform and educate while engaging them. It’s a golden opportunity to tailor your brand message to a specific crowd. The more highly-targeted your message is, the more the audience will be receptive to it. Also, using video gives you the chance to bypass your target’s indifference to the messaging and catch their attention. Enhance your marketing efforts by creating an eye-catching, tailor-made marketing/advertising video. You’ll capture the imagination of your target audience while increasing brand awareness. our team can help you to produce stunning marketing/advertising videos that will increase your brand’s awareness! The more you are able to forge an emotional bond with your audience, the more opportunities you have for greater exposure for your business. In today’s social media-centric world, interesting and emotionally-driven content has an excellent chance of going viral! When your content is shared on social media, it has the potential to vastly improve your company’s visibility and profile. And the more people who see it, the better the opportunity to maximize the size of your target audience. Having a marketing/advertising video can help you to increase traffic and online visibility for your website. Search engines have a favourable view of website videos, and well-crafted ones will only help to increase your rankings. Google, in particular, wants to see traffic that stays in place for a measurable amount of time. When you upload a video to your site, you are encouraging visitors to stick around longer, which will ultimately work toward Google viewing your site in a more authoritative manner. Also, since a video can simultaneously be distributed by various channels (YouTube, social media, etc. ), it can act as a magnet for new traffic to your website. Marketing/advertising videos can bring enormous benefits to a company, and Gardner Productions can help create expertly-crafted and emotionally-driven stories. Don’t just advertise – use video as an opportunity to tell your own tale, in a way that will not only engage your target audience but have them relating to you as well. Contact us to find out how our team can help you to produce stunning marketing/advertising videos that will increase your brand’s awareness!